How do you follow up a crazy fresh movie that was a huge surprise success? Ramp up the crazy to new heights that’s how. 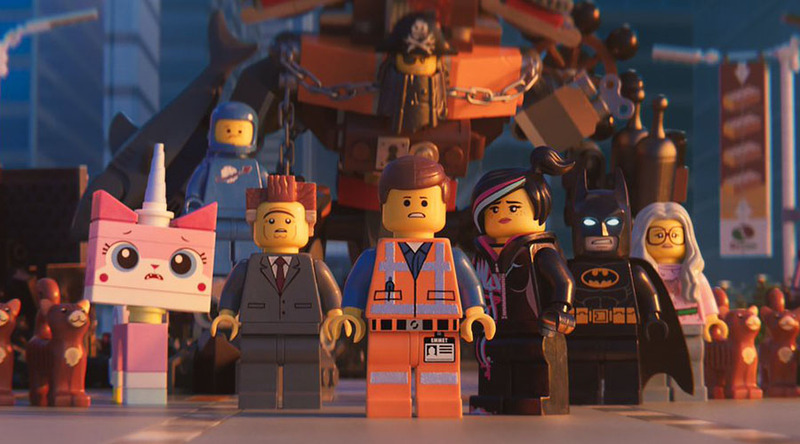 The Lego Movie 2 is loaded with just about everything that worked in the first film with some great additions. New characters, new songs, new worlds and even some riffs on time travel thrown in for good measure. Emmet (Chris Pratt) is back and so is his main squeeze Lucy (Elizabeth Banks) together they lead an idyllic and peaceful existence. Perfect it is, until aliens invade and turn their colourful home into a bleak and monotone land. They also kidnap Lucy and the rest of Emmet’s best buds and disappear off into the plastic cosmos. This abduction leads to major adventures and a long quest that visits many new lands. The life’s lessons are inter spread amongst an onslaught of comic routines both visual and word based and the film kicks into overdrive from this point on. It really does throw everything but the kitchen sink at you and most routines hit their target. Nothing seems to be off limits in the pursuit of humour with hilarious takes on popular culture, classic movies, the MC Universe and even a joke about Radiohead that was spot on. It’s wacky fun and provides a good time for the young and old.